This one might actually be the single toughest question of them all. Certainly it’s my toughest one yet. Not only is there a great and vast multitude of anime villains, but there can be such nuance, personality, and charm to them that picking one over all the others feels next to impossible. Of course, some villains are better than others. And some are worse. 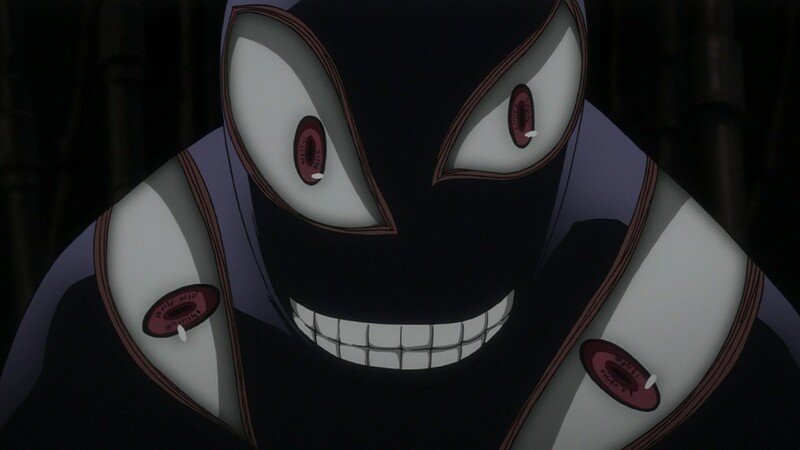 While Light of Death Note is a brilliant schemer, he’s also naïve to the point of stupidity, just killing criminals willy-nilly, and murdering innocent people who happen to come close to stopping him. For being so smart, he is astoundingly dumb. While the Nazi vampires of Hellsing Ultimate were impressive in their way, evil and insane, I never got to feel any sort of familiarity with them. They were simply insane people with superpowers in desperate need of being put down. Everyone is the hero of their own story, so I even considered choosing Lelouch vi Britannia from Code Geasss. He really is quite villainous when you think about it, and he believes he is a hero, until the very end, when he embraces his villainy and is finally at his most heroic. But more on that another day. Obito from Naruto Shippuden basically just never got over the death of a girl he liked, which has got to be one of the worst justifications for mass-murder I have ever heard. Even a number of my favorite anime don’t have the “best” villains. Attack on Titan has the monstrous giants, whom we know next to nothing about except that they slaughter and devour humans for fun. Dog Days doesn’t have any real villains except for some demonic creature that lasts for about one episode. Ah My Goddess has demons, but they are often more hilarious than threatening. Fairy Tail promises something great with Zeref, but we don’t know his story yet, and other villainous characters sometimes turn around and go good, so they don’t always count. The villains of One Piece are basically all the same, simply not caring about the lives they trample underfoot, though they do possess some range in just how despicable they are. Hmm, for liking villains I can empathize with so much, I am coming up rather short on them at the moment. So, suspending that requirement for the time being, if I look at motivation, ability, accomplishments, etc. there is, for now, one which manages to set himself apart. 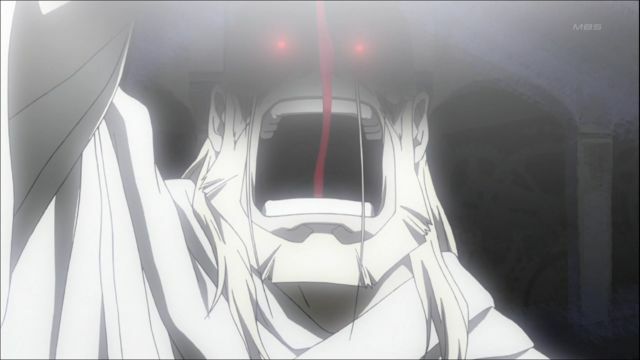 From Fullmetal Alchemist: Brotherhood, the Father of the homunculi. A really long time ago, something in the neighborhood of centuries or even eons, some enterprising alchemist had the bright idea of summoning, from beyond the Gate, a creature. Using a little blood taken from a slave, the experimental ritual was performed, and succeeded. The little creature, like a coalesced shadow with an eye, tiny arms, and a disturbing grin, proved a veritable fountain of knowledge. Though trapped inside a flask to maintain its physical form, it taught a slave, the same one whose blood was used to summon it, enough knowledge to become a renowned alchemist, one of King Xerxes’ closest advisers. When the king wanted to become immortal, the “dwarf in the flask, homunculus,” advised him on how to accomplish this. All he had to do was create a nation-sized alchemical circle, watered with the spilled blood of his own people, and perform a ritual beneath the shadow of an eclipsed sun, and bada-bing bada-boom! Immortality! Small detail: to work precisely right, the recipient of immortality, becoming the world’s most oversized leech, had to be standing in the exact center of the circle. 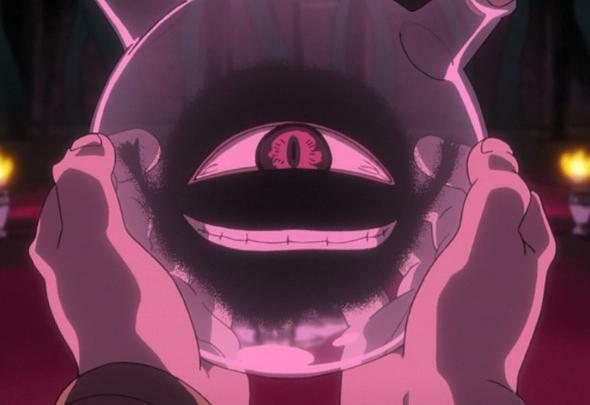 The king and his chosen advisors thought they were doing exactly this, but they were tricked, standing just a few feet off the center, where the former slave, Hohenheim, unwittingly stood with the homunculus in his flask, as the little creature hijacked the ritual to become the recipient of souls in the king’s place. The royal elite suffered precisely what fate they had in mind for their people. Poetic justice, but the atrocity of half a million murdered humans, their souls trapped in unending agony, rather casts a shadow on that paltry consolation prize. Poor Hohenheim regained consciousness to find his civilization dead and a storm of souls raging within his mind and flesh. 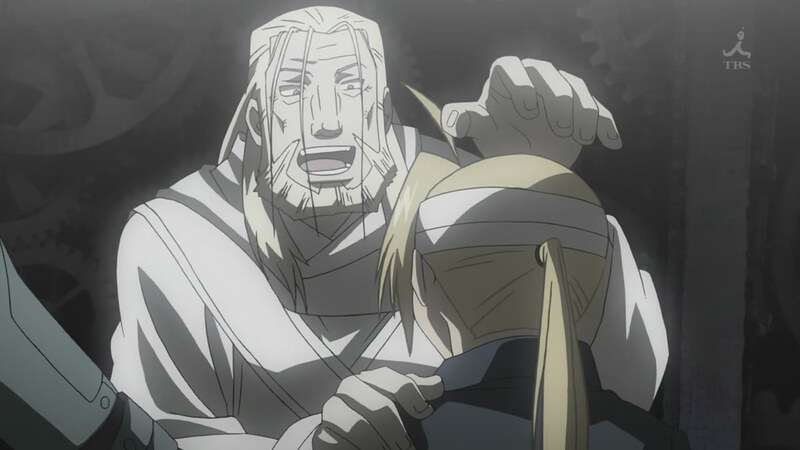 He parted ways with the homunculus, who now had a human form identical to Hohenheim’s, and who clearly had further plans for the world, even more monstrous than what he had already done. 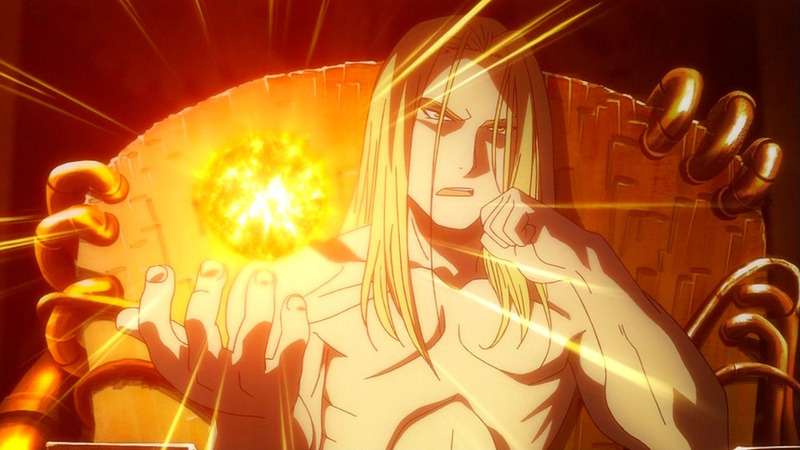 From within his prison in a flash, the first homunculus annihilated an entire nation. And then he was set loose in the world. An impressive and terrifying beginning of his resume. Hohenheim once asked the creature what he wanted, and he answered, “To leave this flask.” For which, he sacrificed half a million human lives, consuming them. Fast forward to the anime’s present day. 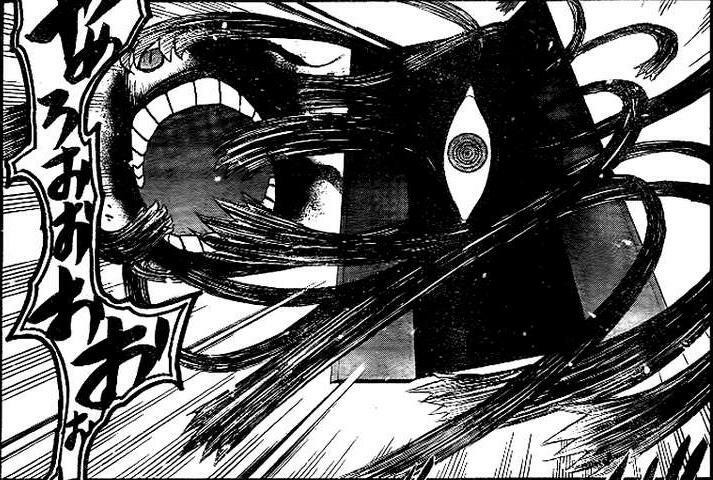 The homunculus, now called “Father,” is engaging in his machinations once again. He’s managed to build an entire military-run nation over the course of several centuries. At its core: a small circle, the carefully-selected upper echelons of the military who command the whole of the nation, the beginning, middle, and end of the list which knows the truth of who really runs the country, and whom they serve for promises of immortality and blah-blah-blah. To them, the homunculus is halfway to godhood, and blessing them, and only them, with gifts from Heaven, so long as they do his bidding. To build up something like that is even more impressive than leading an ancient, superstitious nation around by the nose to its demise. He’s built something much greater than the ancient kingdom, and he’s built it for the purpose of eating everyone in it, like raising crops and cattle. That’s how he views humans. This is the only reason the nation of Amestris is so strong and well-populated: the better to feast upon! He even heals Ed’s injuries at one point, almost as if he was concerned for his well-being, and all while seeing only the role Ed will unwillingly play in the ritual to come. Good boy! Stay alive long enough for me to condemn you to eternal torment! 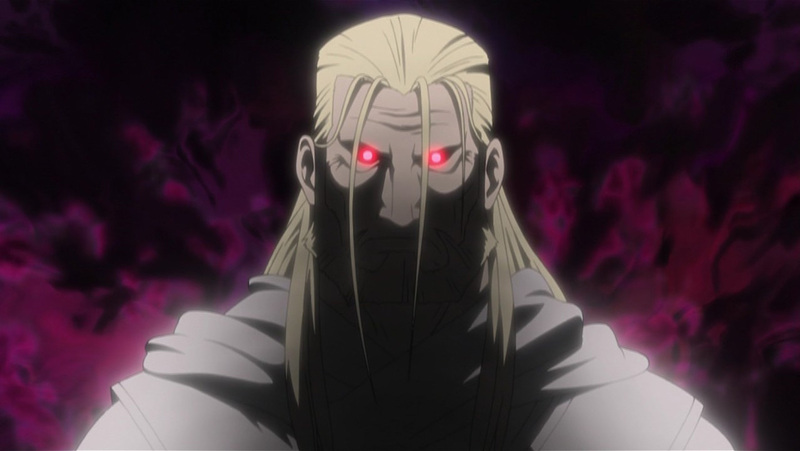 And just to make certain things go according to plan, and to set himself further above the lowly humans, he has sired seven children, split off from himself, and so he has become the “Father” of the Homunculi. Each is dangerous, deadly, like a small (or large) military force on their own. Based on the seven deadly sins of Lust, Gluttony, Envy, Sloth, Wrath, Pride, and Greed, this circle is usually serves as his hands and feet, his eyes and ears in the darkness. Each of them has a superpower, and all of them are resilient to the point of absurdity, none more so then their Father. He uses them, and cares not a bit about them, lying to them, throwing them aside, forsaking them, even reducing Greed to a the form of a liquefied Stone and drinking him at one point before finding a new host. As he sees it, in producing his “children,” he is casting off the sinful desires of humans, and so they, too, are garbage, albeit more useful than mere humans. Father of the Year, enjoying a moment of bonding with his son. What does it take to bring down this one ancient homunculus, his seven offspring, and the military commanded by the corrupt officers who are his disciples? Well, to bring down the military, the heroes use their own military, staging simultaneous mutinies and coups. To bring down the homonculi, one must use one’s wits and so much overwhelming power, applied for an extended period of time, to utterly exhaust the regenerative abilities of the Philosopher’s Stone which is their core. 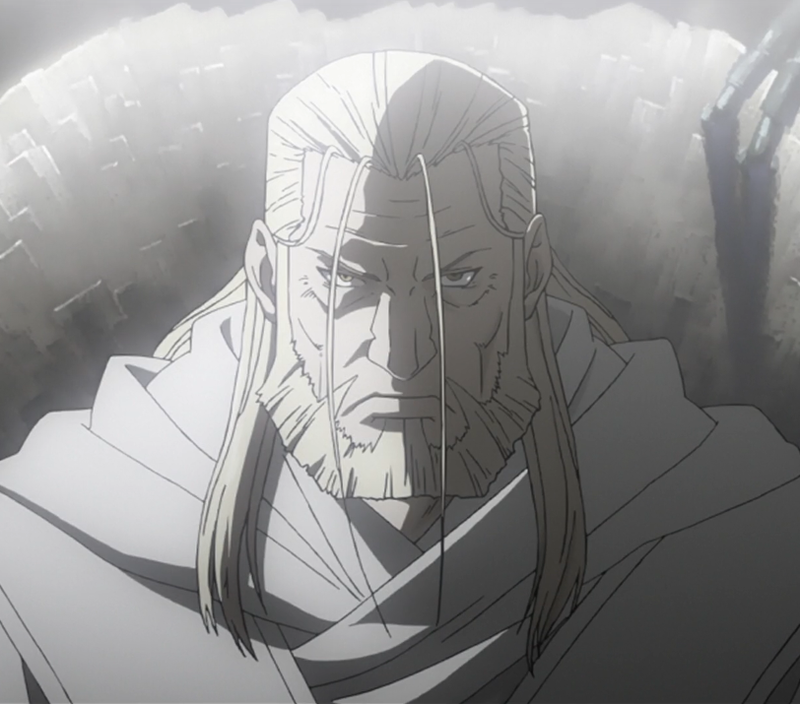 And to bring down the Father, they had to have multiple counter-machinations, including a pair of nation-sized alchemical circles designed to counter his efforts in succession, and an entity (Hohenheim) who can rival his raw power, and an army, well-trained, well-armed, and numerous, and veritable army of assassins, chimeras, a traitor homunculus, and the best/deadliest alchemists in the world. All to bring down one creature. In short: everything they can throw at him. And even then, it was a near thing. That speaks to both how awesomely powerful Father is, and how determined the humans are. He IS holding a miniature sun in his hand. Just to show off. While many villains have numbers and awesome power on their side, the Father has only his power and his wits. With only himself, and a handful of helpers, he manipulated and destroyed millions of lives. Strip away all the helpers, and he still succeeded in performing the same atrocity a second time, on a far greater scale. Strip that away, thanks to Hohenheim’s counter-circle, and even with the relative dregs of his power, he still stood on equal terms with an entire military force, and very nearly won. So, just looking at his deeds, he is impressive. Why does he do all of this? He wants to bring down “God” and take his place. How does he view the humans he uses to this end? As nothing more than the means to an end, and otherwise as garbage. Yet he is completely powerless without the foolish humans he looks down on. He gains his power by feeding on them, stealing their souls and harnessing the power within. Someone once said to me that heroes act while villains react. That seems to be not so true here, yet, taking a closer look. Not only is the first homunculus reacting to the bonds placed upon his existence, but he is the direct consequence of someone summoning him. He is an aberration, a foreign presence, brought in by someone who wanted to use his power, and used another person’s power to bring him into the world. Similarly, despite all his claims of power and knowledge, this creature steals the power of others. An act which catches up to him as surely as it caught up to his summoner, when he is forcibly brought back from whence he came. Recap: he succeeds in leading humans to their destruction, he lies and betrays and cares nothing for others, he wants to devour “God,” and he possesses an extreme amount of power that requires an entire army to fight him, and he almost wins. That’s a very difficult resume to outdo, methinks. This entry was posted in 30-Day Anime Challenge, Anime and Cartoons, Challenge Accepted and tagged anime villains, Father of the Homunculi, Fullmetal Alchemist, Fullmetal Alchemist Brotherhood, Fullmetal Alchemist Brotherhood Father. Bookmark the permalink. Nice! I read FMA recently, and I agree about the Father – he’s the most dangerous villain ever. My favorite characters are Ed, Roy and Riza.